Carpool to beat the cost of coping with commute traffic. Looking for a way to cut costs in the new year? Our friends at GoTriangle recently debunked several carpooling myths that might be holding you back from trying a carpool. Here’s what they wrote, plus a few additions from us with NC State-specific information. Myth 1. I can’t find someone who will carpool. There is a free database called Share the Ride NC with more than 13,000 commuters who carpool, vanpool or want to do that. If you think no one lives near you, give it a chance. Finding a match in a rural or suburban area can be great, even if you drive a portion of the way to meet at a parking lot to begin the carpool. Consider major intersections and options besides door-to-door if you don’t find a match on the first try. Here’s a website to find other interested carpoolers already commuting to NC State. Myth 2. I have to do this every day !?! Nope. Not unless you want. Find someone to carpool with, and then talk through rules and preferences such as how frequently you want to carpool; who is doing the driving or are you alternating; or are you exchanging some gas money? Are there stops along the way for coffee, is it a non-smoking vehicle, and what about radio stations? We have more recommendations to help you with those conversations in the Carpool Survivor Guide. The name is a little melodramatic, but it’s a reference with some good tips you’ll want to consider. Myth 3. I won’t be able to get home in an emergency. Wrong again. Employees who carpool qualify for the Free Emergency Ride Home (ERH) program. Up to twice a month or six times a year you can use an Emergency Ride Home if you didn’t drive that day and you get sick at work, have a family emergency, or have unscheduled overtime. If you have your car and are going to leave your carpool passenger behind, they can use ERH. We’ll get you in a cab and on your way if you ever need it. Myth 4. There’s no reason for me to carpool because I have a car. Well, you could share the ride with someone else. Save some gas money and give it a chance. Someone in the carpool is going to need a car, right? Otherwise it’s not carpooling – it’s just you driving with someone else driving alone, walking, biking or taking the bus. 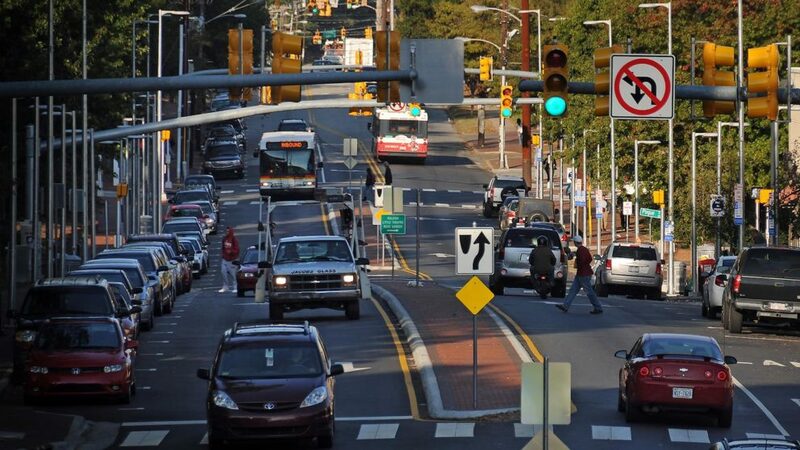 Less cars on campus also means less congestion, safer air quality and a better environment. Still think it’s not worth it? There are prizes! Employees who carpool can earn points to enter GoPerks prize drawings. Each month there are prize drawings for $400 in gift cards to your favorite local businesses. Plus, NC State offers specific benefits for carpools. Learn more about the benefits you could be taking advantage of. Published in News, Transportation, Travel | Change Your State.